Nestled north of Main Beach and downtown Laguna, Diver’s Cove is at the northern end of Heisler Park near a large condo building. North Laguna Beach is home to the best paddle boarding with meandering, protected coves like Emerald Bay, Crescent Cove, and Seal Rock. North Laguna also has far fewer crowds than tourist packed south Laguna Beach. Directions: The Beach Access to Diver’s Cove is a staircase next to the condo building that juts out on the ocean. You will see a small brown sign that reads “Diver’s Cove.” Meet your instructor either at the Bliss Van parked at one of the metered spots, or on the sand at the bottom of the stairs. Situated in Pacific Beach near famed Mission Beach, Fanuel Park offers the best of both worlds with easy street parking and a serene calm bay. Look for our boards in front of the playground where the instructor will meet you on the sand. Directions: Fanuel Park is located at 4000 Fanuel St, San Diego. Parking is free on the street and in the lot near the park. Public Restrooms are nearby and you may leave keys and belongings locked in the van. 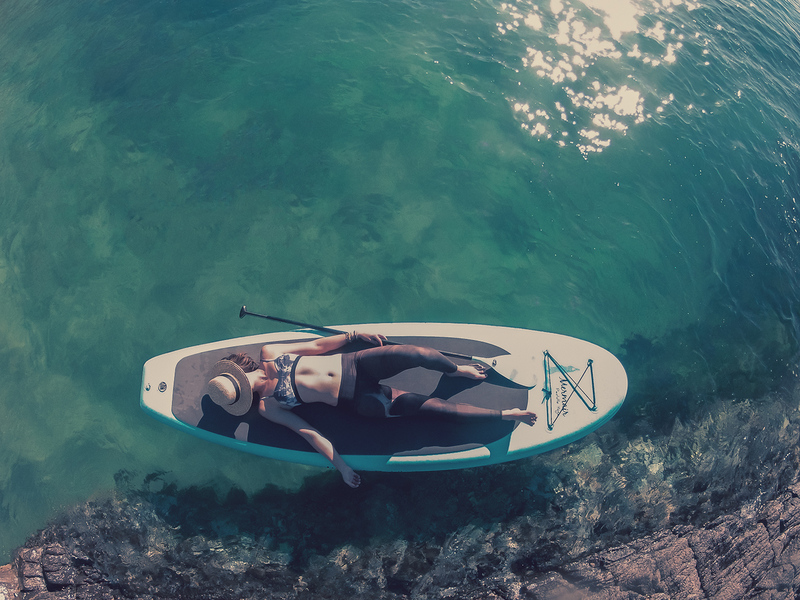 Located in the heart of the Newport Beach Peninsula, relax in the serene Shore Yoga studio and retail or explore the picturesque Newport Harbor on a paddle board. Shore Yoga offers a variety of indoor yoga and outdoor paddle activities, come visit soon! Directions: Located in between 28th and 29th street on the Peninsula, Shore is near Laventina’s Pizza and El Ranchito Restaurant.